Plymouth Argyle have re-signed Alex MacDonald from Burnley on an emergency loan deal until 6 October. Last season MacDonald scored four times in 15 starts for Plymouth while on loan from the Clarets. 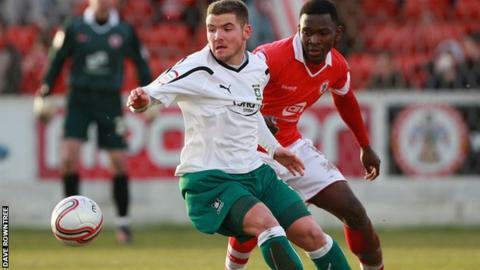 Pilgrims manager Carl Fletcher's attempts to bring the 22-year-old forward back to Home Park in the summer fell through. The news comes 24 hours after Fletcher confirmed defender Ladjie Soukouna was free to leave the Devon club. Fletcher told BBC Radio Devon: "If we can move Ladjie on it frees up some money for us. It's a part of management I haven't really experienced before, telling players they're not part of your plans."